Ever wondered if you can get a beautiful smile that makes you feel confident, filled with straight and sparkling teeth? Many of us grew up with the idea that the only solution was to endure years of uncomfortable, traditional braces. But it really is possible for many patients to attain the beautiful smile they've always wanted and in as little as six months. Modern treatments like the ClearCorrect® clear braces and Six Month Smiles braces systems offered at NELA Dental have completely changed the way we address the problem of misaligned teeth. Both are efficient and safe solutions for transforming your smile and boosting your self-confidence. Our doctors have helped many patients achieve their goal of a healthy, perfectly aligned, dream smile. A beautiful smile is important, but it is also important to protect your oral health by addressing alignment issues as soon as possible. Misaligned teeth make proper-teeth cleaning difficult and often result in gum disease. Recent studies confirm the importance of protecting our oral health, as research has established that the health of our mouth has a direct impact on the health of our body. Studies suggest a direct correlation between chronic diseases of the mouth and serious health problems such as heart disease, respiratory disease, stroke, and diabetes. ClearCorrect® clear braces correct common alignment problems like overcrowding and large, uneven gaps between teeth. Treatment with ClearCorrect® involves a series of clear, custom-made aligners that are virtually invisible. You will receive a series of aligner trays that you will change at two-week intervals to gently reposition your teeth into correct alignment. ClearCorrect® aligners are made of a smooth, plastic material that is comfortable and eliminates irritation. The aligners are removable and made to be taken out when eating, brushing, and flossing. If you play contact sports, ClearCorrect® trays can be removed, allowing you to wear a protective mouth guard. Treatment times vary by individual, but results are typically achieved in about 12 months for adults, with slightly longer treatment times for teens and young adults. Are you looking for a quick solution to fix a smile that is marred by misaligned teeth? If you have a big event coming up and want to improve your smile, Six Month Smiles braces may be the solution for correcting your problematic smile. With this innovative orthodontic treatment, you can actually see amazing results in as little as six months! Treatment with Six Month Smiles braces is similar to that of conventional adult orthodontics, but with one major difference. 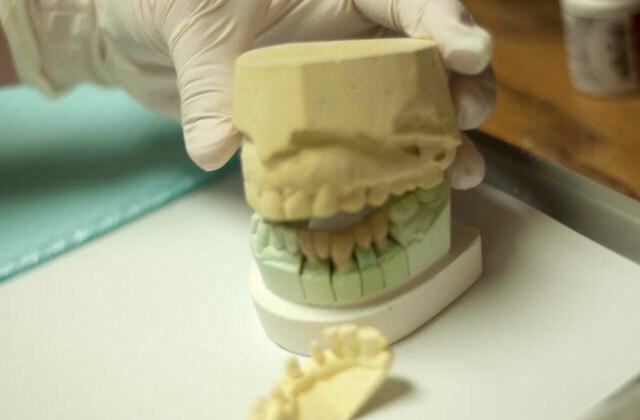 Traditional long-term orthodontics are designed to perfect the patient's dental bite. However, tooth alignment issues for many adults are not related to problems with their dental bite. Six Month Smiles braces have significantly shorter treatment times because the goal is not to alter the patient's bite, only straighten the visible teeth. Six Month Smiles treatment focuses only on the teeth that show when you smile. The braces do not interfere with your appearance or day-to-day life. The clear brackets and tooth colored wires will gently reposition your teeth without affecting appearance. Both ClearCorrect® and Six Month braces are convenient and effective methods that correct tooth alignment problems. NELA Dental will help you decide which option best fits your lifestyle to achieve your desired results. Our goal is to provide personalized care and make it easy to obtain the exact treatment you need with stress-free financing options. Please contact us so we can arrange a free consultation. With our teeth-alignment treatment options and our free teeth whitening for life program, you will be set for a permanent and beautiful smile. We look forward to hearing from you!